I love Saturday mornings that start with a good cup of coffee in my Pj's. Those mornings where you can slowly start your day and not worry about where you have to be! Those are the best! That is exactly the type of morning I am having right now, and if I could have some Mango Waffles from Victor's I would be one happy camper! Did everyone have a good week? Have fun plans for this fine Saturday? My week seemed to fly by! I feel like since moving the weeks seem to pass with the blink of an eye! I guess that means I am just enjoying my life and the city! They say time flies when your having fun ! I wanted to wrap up this weeks pin challenge and share some highlights with you from this week! A major highlight this week was it was casual dress all week! Since my company turns 50 this year we have a total of 50 casual dress days! I see a lot of shopping in my near future! Another highlight of the week was getting to see Nora Jones perform... at my office!! 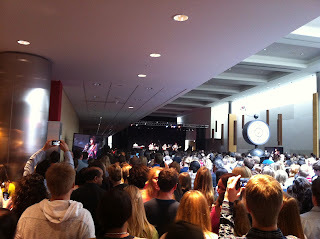 Nora Jones came and put on a private concert for my company this past Tuesday! How cool is that! It was hard to see with so many people but still cool that I get to see Nora Jones performed at my office! 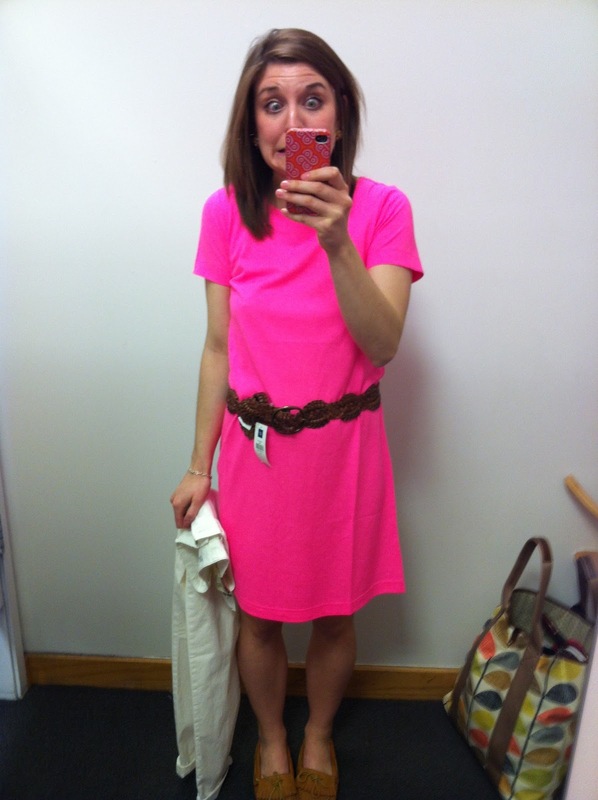 And finally check out this neon pink dress I found yesterday shopping! I am completely obsessed with this dress, I just love the neon pink color! The picture does not do it justice for how bright/cute it is thats why I am sharing this lovely picture with you ! I plan on belting the dress and wearing this dress today for Cinco De Mayo! The color is perfect bright and fun! Alright now we can focus on some recipes! Lets start with the alright and work our way to the best! These Italian Chicken Wraps were a bit of a bummer! (This is the picture from Taste of Home, my pictures of wraps never turn out well)! I had high hopes for them. They just did not have the flavor I desired. The filling to be honest got a little lost in the tortilla! I even added extra spices. I am now on the hunt to find an amazing wrap recipe! Next up the Black bean and Guacamole Burrito! Delicious! I have been obsessed with avocados lately, I could eat them every day! This was such an easy dinner to make, I actually had it two nights in a row it was that good! I did not make guacamole though, I simply just mashed avocado and a bit of salsa together! Still tasty though! And finally we come to a veggie packed flat bread! 3 Cheese Spinach Flat Bread! Mine seriously looked like a salad on a tortilla, but man was it good! 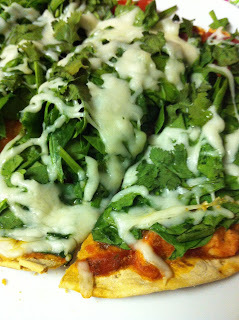 I added some fresh cilantro into the spinach, and left the parmesan cheese off! This little flat bread would be a great week night dinner because it is quick! I am thinking next time I will add some beans or chicken for a little protein kick! Overall I thought it was a good week for recipes! You have to have a dud recipe every now and then, right? Now if you will excuse me I have some party prepping to do! I hear one of these calling my name! Have a fabulous day, and I highly recommend enjoying at least one margarita! 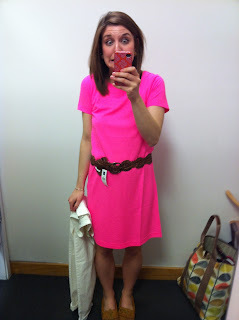 I saw that pink dress online - it looks like it would be perfect for the summer! It looks great on you by the way! lucky you 5o casual dress days!! i want and that neon dress looks great on you, love it!